It’s another full week in the world of Android updates. Two variants of the Galaxy S7 and S7 Edge got important software tweaks, while Google pushed out May’s monthly security patch. We also learned that Marshmallow market share is creeping up thanks to Google’s latest report, though Lollipop still is the most dominant version in use for now. 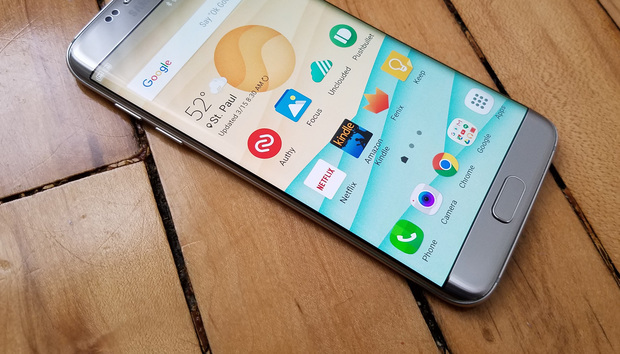 Galaxy S7: According to Verizon, an update is coming your way with a number of improvements and fixes. It includes security patches, a SIM card tray reminder when it gets left open, refinements to the application manager, and easier-to-understand instructions for using the always-on display. There’s no word on the update size, but you’ll need to connect to Wi-Fi for it. Galaxy S7 Edge: The same details apply to Samsung’s vanity phone. You can also get all the specifics directly from Verizon. Galaxy S7 Edge: Same story here, with the T-Mobile update rolling out now. One of our in-house devices already got pinged about the update. LG G3: Updates to phones that go back a couple of generations is never a guarantee. Fortunately, a T-Mobile update brings Marshmallow and improvements to Wi-Fi calling. Platform distribution numbers: We’ve had plenty of Marshmallow updates in the last few weeks, and that was born out in Google’s latest release of its ecosystem breakdown. Marshmallow is up to 7.5 percent, though Lollipop remains the dominant version. The data is from a seven-day period that ended on May 2. While the speed of Android updates is still a major problem, the good news is that if you have a recent flagship device there’s a pretty good chance you have Marshmallow. But the numbers are a telling reminder of the challenge Google has in reining this in. Security updates: The May security update is on the way to Nexus devices. This update usually takes several days to roll out to everyone (although it was ready for my Nexus 7 Thursday night), but if you want it now head to the Nexus Factory Images. Z3 Compact Tablet: Both the LTE-enabled and Wi-Fi variant will soon receive an update to Android 6.0.1. Xperiablog first spotted the change, and has the files if you want to download it yourself. LG GPad F 8.0 LTE: Weird name or not, this tablet has one advantage over many others: it’s getting Android Marshmallow. An AT&T update brings Android 6.0 and updates to the various bloatware carrier services installed on the device.